My Surprise At School! - Star Of The Week AGAIN! My Surprise At School! 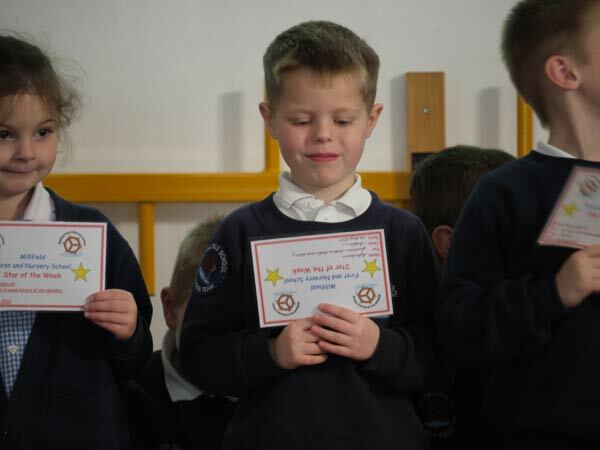 – Star Of The Week AGAIN! Today was a lovely sunny day and I went into assembly all happy as we were going for our key stage 1 walk today! Mrs Willet went straight into reading out the stars of the weeks this week as there were quite a few! I was listening to Mrs Wagstaff read out the stars of the week for my year and after 2 names she started again with a surprise star this week, … well you can see what she said below! Well I was SOOOOOO happy and proud I got my star of the week again so quickly after the last one and for fantastic work in Maths and Literacy, i think i will give myself a MASSIVE pat on the back! Another Star Of The Week! Good Reading Star Of The Week My 1st Star Of The Week! ©2010-2017 SmartTheme. All Rights Reserved.